Britain is home to some of the most exciting and talented entrepreneurial businesses in the world. This report celebrates 1,000 of them – and it’s the reason we’re so pleased to be involved. You will have heard of some of the people running these companies but others you will have not. What they all have in common is the talent and tenacity to take risks, create jobs and boost the economy. They are the country’s business heroes, and their long-term success depends on having the means and confidence to grow. In fact, they are the reason Business Growth Fund (BGF) exists: to provide support and capital to help them fulfil their potential. And we’re not alone. Financiers, industry bodies and politicians are working to build an infrastructure that can support the big businesses of tomorrow. A good example is London Stock Exchange Group’s ELITE programme, which is unearthing hidden gems and helping entrepreneurs prepare for fundraising. At the same time, there has been a growing understanding and awareness that equity partnerships come in all shapes and sizes. That’s tremendously exciting and it’s also one of the reasons why the use of equity capital is on the increase. The decision to invite an outside investor into your business can have many benefits. First, it is often the catalyst for growth. To convince investors, you need a clear plan and the ability to execute it, which focuses the minds of management teams. Second, once you have equity investment, it can be easier to bring in skills that may be missing from the business. Ambitious people want to be associated with growing companies and rewarding places to work. Third, the ability for the founders to realise, through equity release, some of the wealth they have created can be powerful. It’s not that they want to sail off around the world; many want to remove some of the pressure on their personal lives – pay off the mortgage or know their children’s education is safe – to enable them to redouble their focus on the business. Together, this allows entrepreneurs to continue to do what they do best: grow companies, create jobs and take the calculated risks that others will not. With the right support, I expect you will hear about many more of these inspirational companies in the years to come. Business growth fund (BGF) is unlocking the potential of some of the UK’s brightest businesses. BGF has big ambitions. We’re working to create something special – a network of entrepreneurs who can share knowledge, experiences and ideas to accelerate growth in their own businesses and each other’s. We meet entrepreneurs and owner managers from all walks of life: a scientist or manufacturing boss from Cambridge; a hotelier in Scotland; a digital wizard in Shoreditch or Manchester – and plenty more besides. What they all have in common is ambition, talent and energy, and, overwhelmingly, they know what they want for their businesses. But they also know the challenge is in the journey. Growing sales from £5m or £10m to £50m or £100m requires a sensible and detailed business plan, with a strong management team, and heaps of perseverance. And it is a journey that, more often than not, requires investment. Some entrepreneurs continue to be influenced by age-old views of what it means to take an equity investment: namely, that it’s burdensome and results in loss of control. But with the increase in the supply of growth capital (BGF was set up in 2011 and has up to £2.5bn to deploy) and a growing number of companies putting this capital to work, more and more entrepreneurs understand that equity investments come in all shapes and sizes. The key is finding the right one for your business. Implementing growth plans – which might mean hiring more staff, buying new machinery, making acquisitions or diversifying into new areas – requires capital. But not all entrepreneurs can or want to self-fund their expansion plans, particularly if it means laying down millions of pounds upfront at an additional risk to their personal finances or assets. It is also important to be adequately capitalised – not all entrepreneurs can or want to build their businesses on debt alone. BGF has the express purpose of providing growing companies with a different type of funding option: long-term, patient (meaning no forced exit) capital in exchange for a minority stake. One of the concerns we hear time and again from entrepreneurs relates to the lack of access to strategic support and advice. This is ideally from someone who carries the battle scars of business and has come out the other side with ambitions to help others succeed. With this in mind, BGF has created a talent network of more than 1,000 of the UK’s most successful business people. We show chief executives the breadth of our network and help them pick out two or three people to meet, based on their specific brief. So far, we’ve helped over 50 of our investee companies find the right person for their business. With capital and connections, comes confidence. There’s a lot to admire in entrepreneurs: they’re the visionaries and the risk-takers and their success depends on having a robust support infrastructure. We want to encourage our investee companies to continue doing what they’re doing. We’re doing that both through financial backing and a network of entrepreneurs that matter, who are building the businesses and the relationships that count. TCL Group is a master of creating and maintaining outdoor spaces of all shapes and sizes. The BGF-backed company works with housebuilders, local authorities and heritage estates across the UK. From keeping gardens pruned to creating jaw-dropping landscapes, TCL can increase property values exponentially for property developers or private clients. 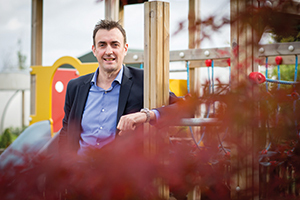 Since April 2014, TCL’s CEO Simon Cashmore has secured more than £15m growth capital from BGF. The money is funding organic growth but it’s also allowed the company to make a number of new company acquisitions – three in the eight months since BGF’s first investment. He was right. When Simon took over TCL in 2007, the business turned over £5.5m. Today, it generates revenues of more than £45m. The Bullitt Group was founded in January 2009 by Richard Wharton, Colin Batt and David Floyd. The business designs, manufactures, markets and sells mobile phones and connected devices in partnership with global brands. The founders identified an opportunity to develop branded consumer electronics that better reflected the core values of the brand, rather than the manufacturer. For example, they found that the rugged mobile device market was a relevant yet under-served sector, and set about identifying the best global brand to partner with. 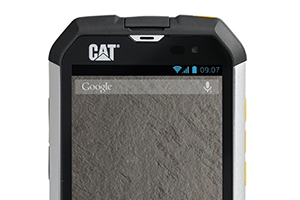 A year later, Bullitt had secured the exclusive licence for CAT globally, for mobile phones and accessories, and the business took off. BGF invested in December 2012, enabling Bullitt to develop audio devices for Ted Baker and connected mobile devices for Kodak. Bullitt has signed deals with a number of other international brands including, most recently, Ministry of Sound. Richard believes that Bullitt offers customers real individuality. “We are able to deliver truly differentiated devices to consumers, addressing the demand for something more distinctive,” he says.